Discover the OSM latest news in our news center. Browse our articles and be up to date on everything related to our orchestra and classical music in Montreal. 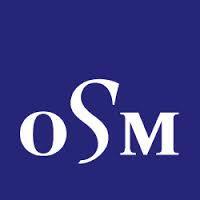 The OSM is a prestigious orchestra recognized around the world. For almost 80 years it’s been enriching the musical life of Québec and Canada through the extraordinary quality of its performances, its leadership and its creativity. And by undertaking numerous initiatives outside the concert hall, the OSM has carved out a place among the most committed, community-anchored cultural institutions. Why join up with the OSM? More than 70 enthusiasts work at the OSM, supporting and promoting this remarkable orchestra and its music director, Kent Nagano. Here, it’s possible for everyone to develop, to grow and to surpass themselves. Everyone contributes to the success of this internationally renowned cultural gem, which continually innovates and which continuously excels. The administrative offices of the OSM and Maison symphonique de Montréal are located in downtown Montreal, at the very heart of the Quartier des Spectacles (entertainment district). It’s an exciting place and easy to access by public transit, close to the city’s major arteries as well as to a bike path. To apply to an available position, please complete the form below. Please note that only the candidates invited to an interview will be contacted. Since its inception, the Association has played an essential role in the Orchestre symphonique de Montréal by getting involved in a number of different projects related to the educational and musical activities. Whether on a regular basis or more occasionally, our 150 volunteer members support the activities of the Orchestre symphonique de Montréal (OSM) enthusiastically and with dedication. In so doing they contribute to making the classical-music repertoire better known and to maintaining the OSM’s excellent reputation. Becoming a volunteer with the OSM can be an exhilarating adventure for people seeking to get involved and to make their skills available to an artistic and musical cause. For more information, dial 514 840-7400 #7439 and leave a message. Or email us at benevole@osm.ca. Membership in the Association entails annual dues of $40.